Lucky sailors will win prizes generously donated by our sponsors and exhibitors. 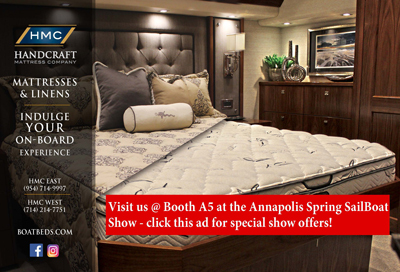 Purchase show tickets online to be automatically entered to win, or register at the show. Set of four (4) General Admission tickets to the 2019 United States Sailboat Show.